I am a sucker for packaging. 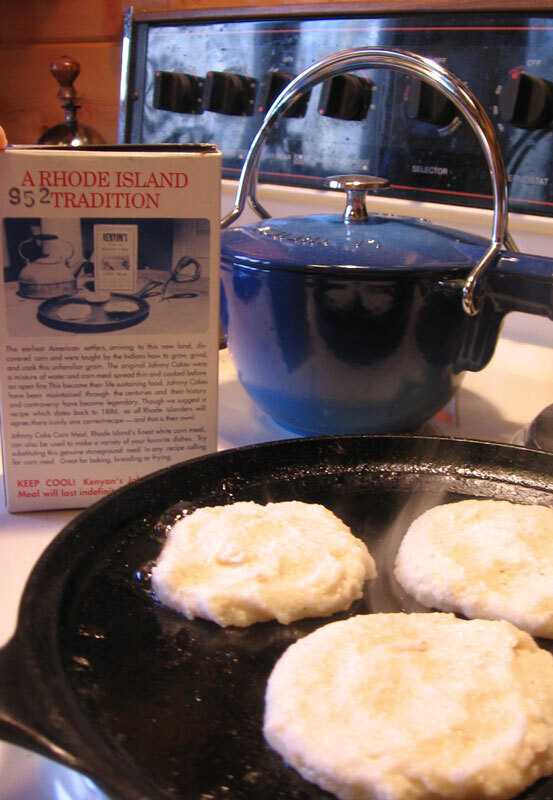 Especially when the box has a recipe on it that I would like to try. 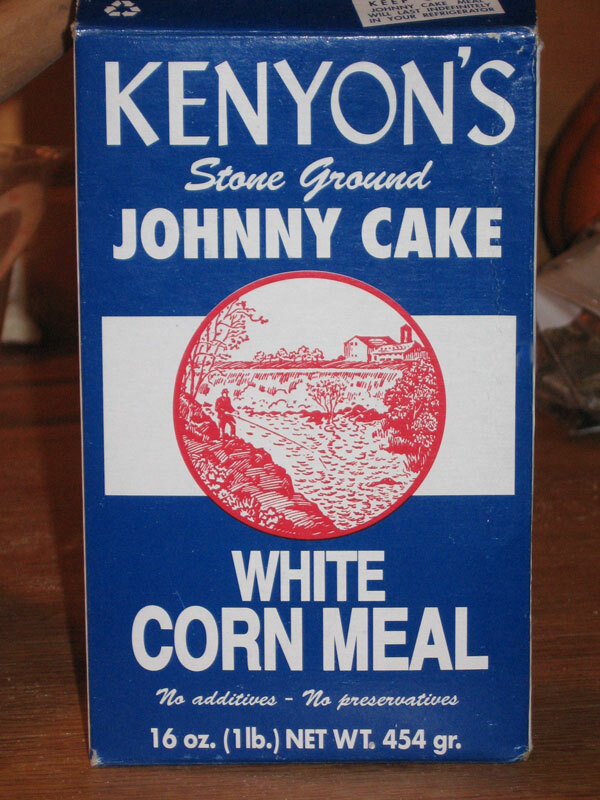 And that is how I ended up with a box of Kenyon’s Stone Ground White Corn Meal; complete with recipe for Johnny Cakes. It is a simple recipe. Add boiling water to corn, salt and sugar. Make a thick dough, and fry in oil (6 minutes the first side, 5 minutes the second!). And the finished result? Crispy on the outside, gooey on the inside. 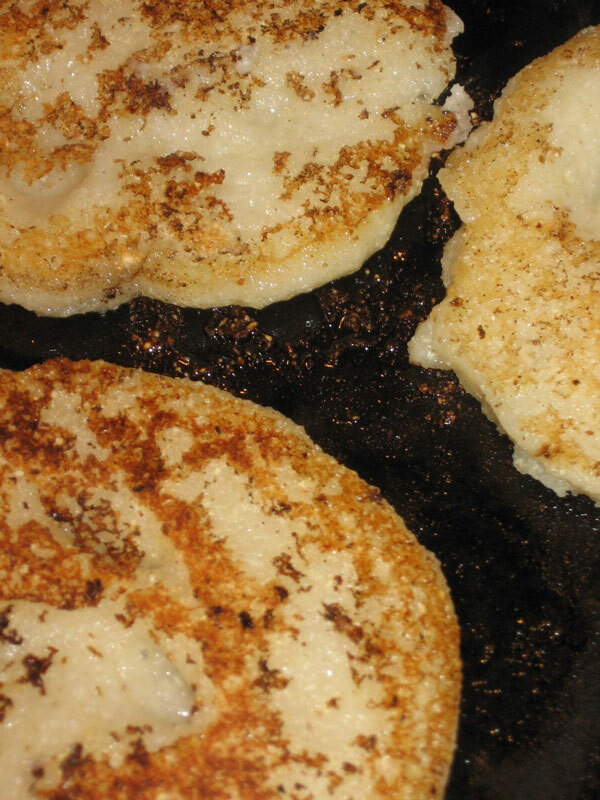 A little like “clumps,” or fried leftover cream of wheat (a childhood favorite), but maybe not as good. I think that I need to work on the recipe a little more. Or at least on the frying process. 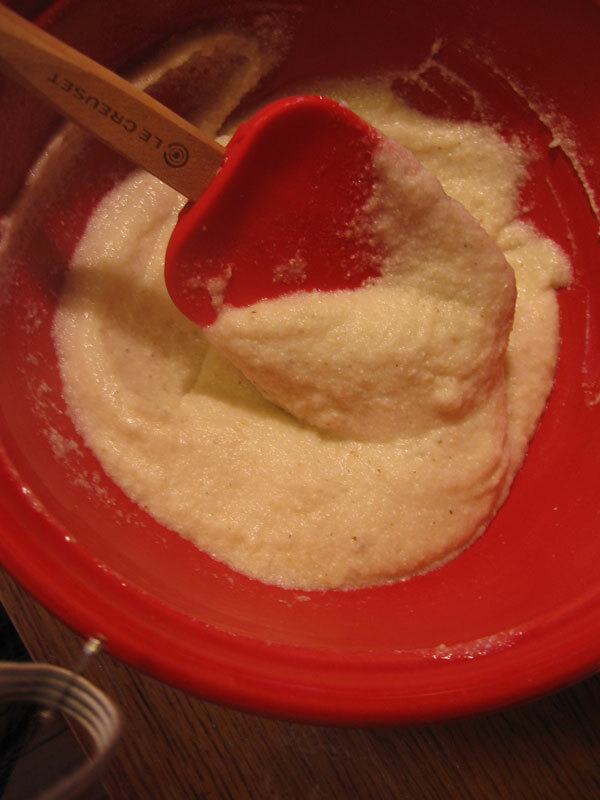 It says that you can thin out the batter with milk or water, and this might make a more manageable batter to work with. 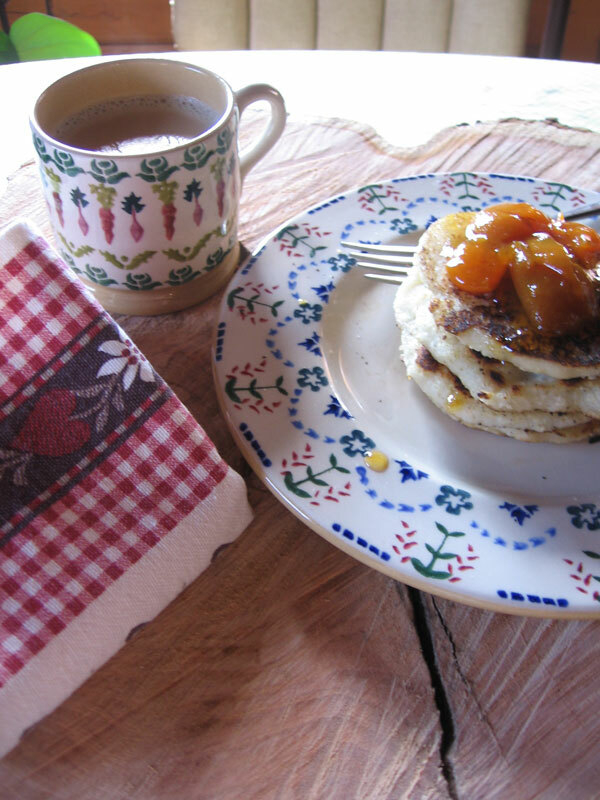 Now my belly is full, and I am ready to clean house, aided by sunshine and “balmy” fresh air! What a delicious looking breakfast Torrey!!! YUM-O!! !